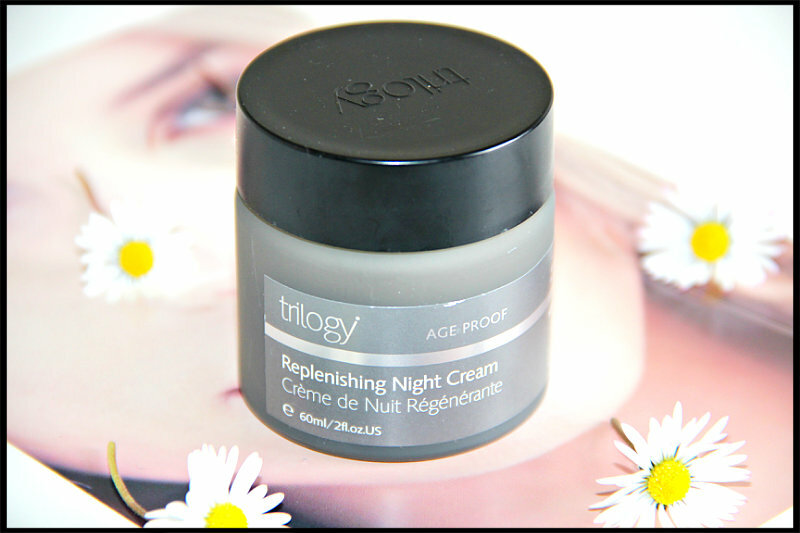 Today I am going to review Trilogy Replenishing Night Cream (£31.50) which I have been sent to review on my blog. Night creams in general are so important to your skincare regimen. When we sleep our skin goes through a renewal process and needs good nutrients on the surface to help with the process, this is why it is important to take your makeup off at night. Skin cells rejuvenate 8 times faster when we are sleeping. A good night cream typically contains antioxidants and other minerals and ingredients depending on your skin needs. 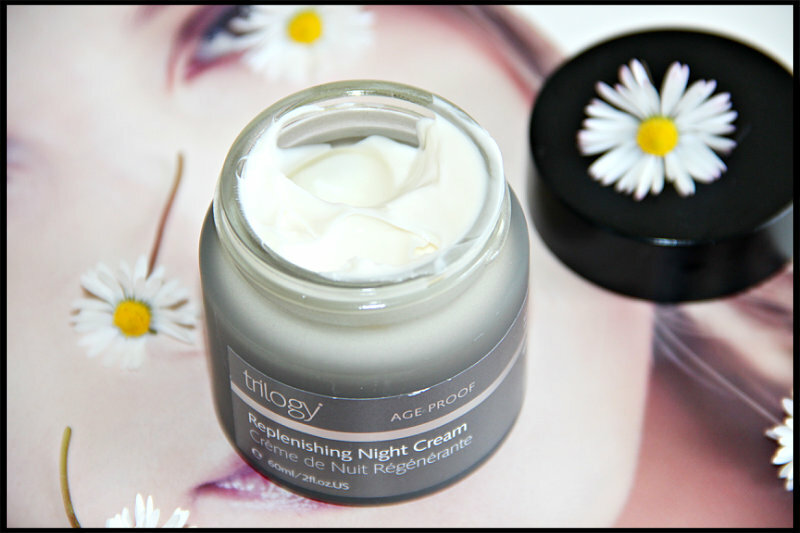 Trilogy Replenishing Night Cream comes in a grey glass tub, packaging is quite bulky. It has pleasant smell and the consistency is quite rich but not at all heavy on skin. It’s not sticky or greasy and sinks into the skin in no time. The cream contains hyaluronic acid and omegas 3, 6 and 9 to help restore skin elasticity and the natural process of regeneration. 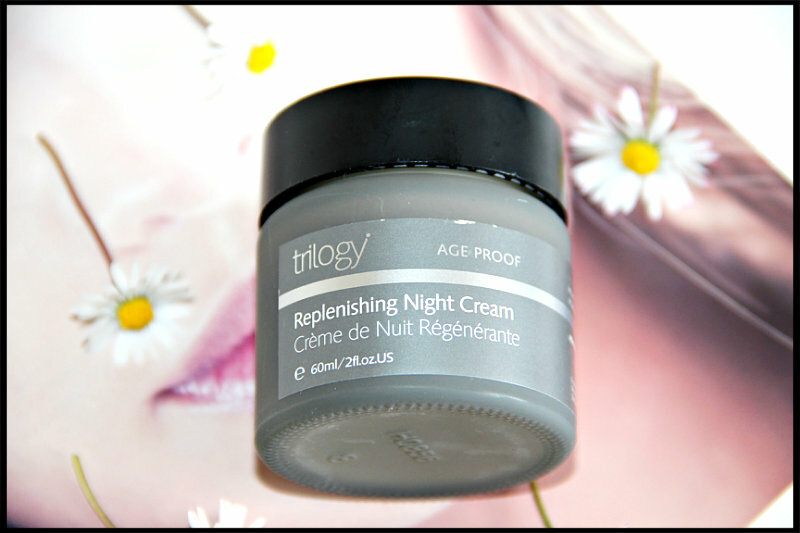 After a month or so of using the Trilogy Replenishing Night Cream, I can say that I am quite delighted with it. It has a silky texture, is beautifully scented, and leaves my skin in great condition. It makes my skin softer, smoother, perfectly hydrated and hence better looking. This is a rich cream but does not feel greasy on face. It did not cause any breakout and reaction for my sensitive skin. The cream is definitely moisturizing and nourishing. A little goes a long way, I use half a pea size amount and that is more than enough to cover my face and neck. If you have dry/normal/combination skin and you need just nourishment for your skin, this would work well for you. It offers enough hydration and moisture for my dry skin without overloading it and my skin looks more soft and smooth. 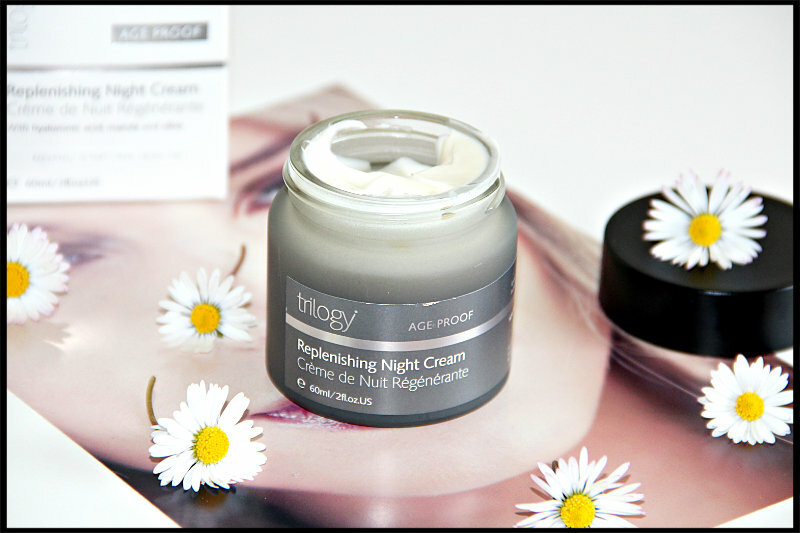 What do you think about Trilogy Replenishing Night Cream? 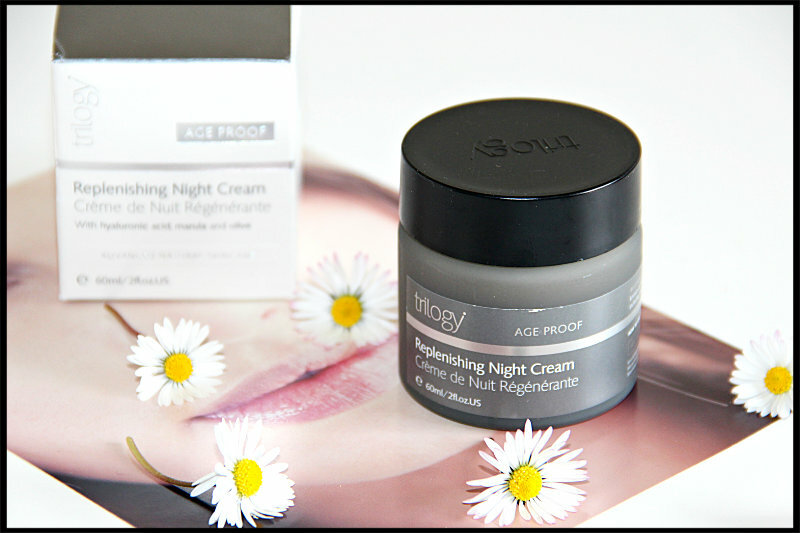 Have you tried Trilogy Replenishing Night Cream? Which is your favourite Trilogy product? You can buy Trilogy Replenishing Night Cream Trilogy, lookfantastic.com, feelunique.com. 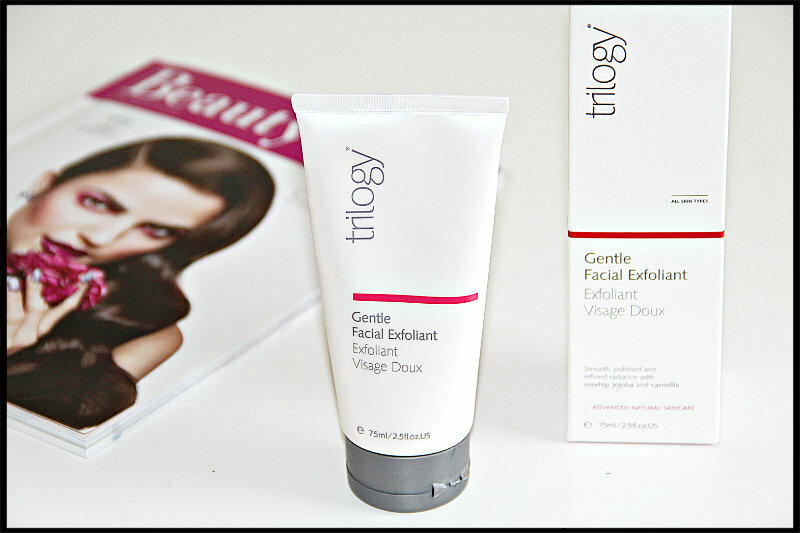 Today I am going to review Trilogy Gentle Facial Exfoliant (£21.50) which I have been sent very kindly along with other products to review on my blog. You might have seen my previous posts on Trilogy Gentle Cream Cleanser, Trilogy Rosehip Oil Antioxidant + and Trilogy Ultra Hydrating Face Cream. I am absolutely loving all the Trilogy skincare products I have tried so far. They have been so gentle on my dry sensitive skin. I know if you have sensitive skin, you might want to avoid exfoliators by thinking it might be too harsh but this Trilogy Exfoliant is really gentle. This exfoliator is infused with key ingredients like Honey, Rosehip Oil, Camellia and Jojoba Oil. All Trilogy products are Nature certified so they only contain natural and organic non-GMO ingredients so they are free from harsh and nasty silicones, mineral oil,etc. They do not test their products on animals. Trilogy Gentle Facial Exfoliant comes in a tube packaging with flip top. It is a brilliant rose scented exfoliator. The smell is not that overpowering. It fades away afterwards. The texture of this exfoliant is bit thick but creamy and contains jojoba micro-spheres in it. The micro beads are very fine, yet still effective and do a great job of lifting off dead skin cells and they won’t scratch or feel abrasive. Regular exfoliating is an essential part of any skincare regime as it helps to smooth for that all important radiant glow. I have been using Trilogy Exfoliator since last many weeks. I use it twice a week. First I damp my face with warm water and take required amount of product and start slowly rubbing the exfoliant on my face in the circular motion with fingers. Rinse with the warm water and pat dry skin. The tiny micro-spheres in it buff and polish the skin and remove the dead cells without any irritation or redness on skin. After using this exfoliator my skin looks much brighter and clear. It renews complexion and skin feels instantly soft, smooth and my pores around nose are less visible and it also gives a subtle glow to my face. Trilogy Gentle Facial Exfoliant helps to remove all flakiness, roughness and dullness from my face, leaving behind fresh and healthy looking skin. I would recommend this product to anyone who have sensitive skin or if you are looking for a gentle and natural exfoliant with no GMO. This product would work for all skin types. 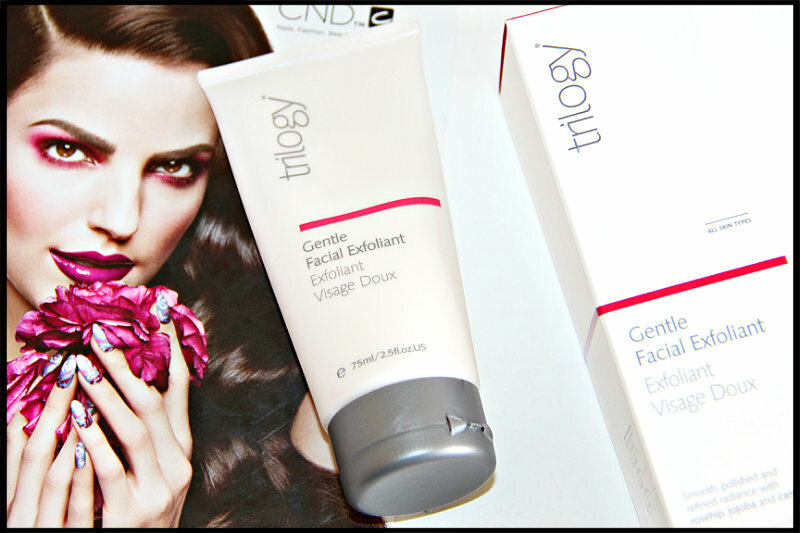 What do you think about Trilogy Gentle Facial Exfoliant? Have you tried it? Which is your favourite Trilogy product? You can buy Trilogy Gentle Facial Exfoliant from Trilogy, lookfantastic.com, feelunique.com. 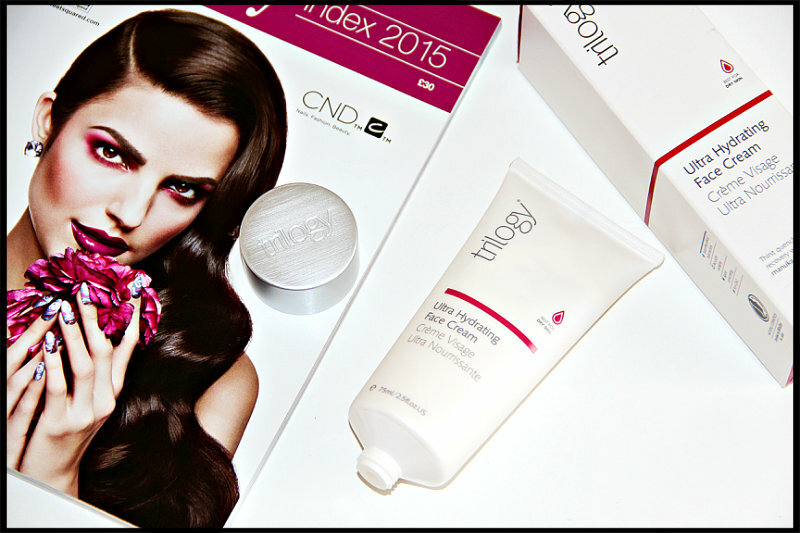 Today I am going to review Trilogy Ultra Hydrating Face Cream £24.50 which I have been sent to review on my blog. 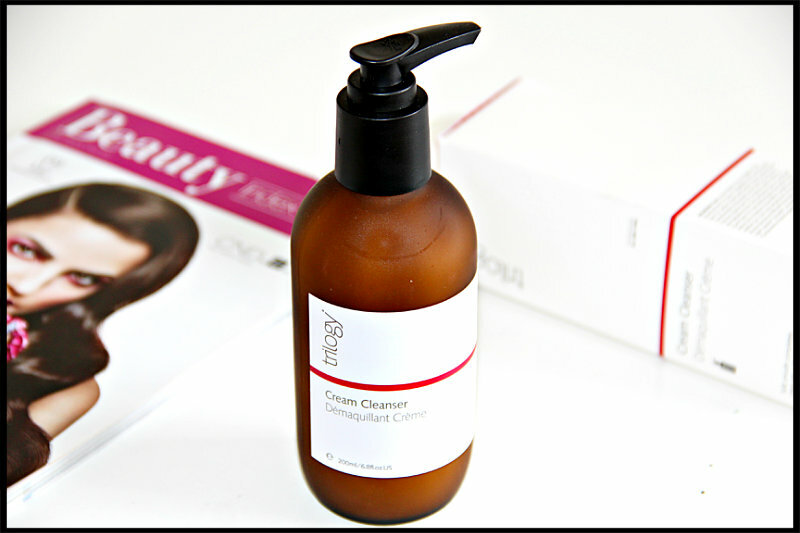 In my previous posts I have reviewed Trilogy Rosehip Oil Antioxidant+ and Cream Cleanser. 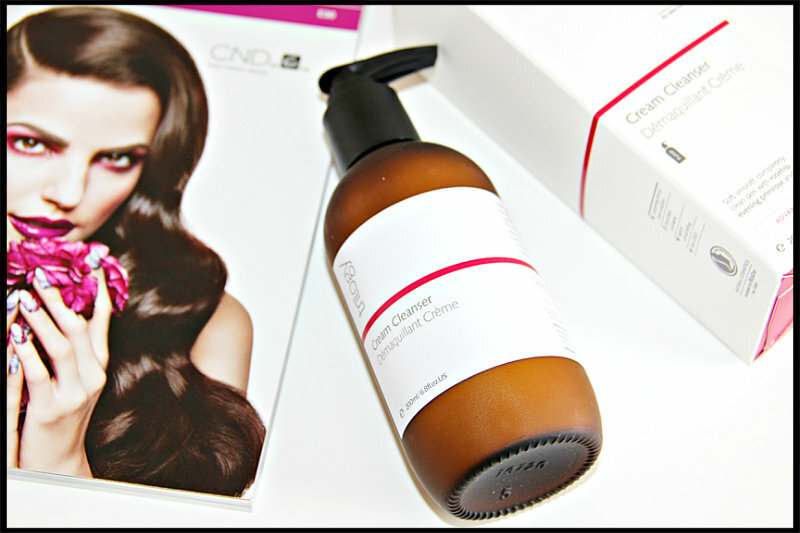 They both are lovely products to try. Trilogy Ultra Hydrating Face Cream infused with Trilogy’s unique antioxidant complex, Rosapene which helps to restore and protect skin. It also includes Manuka Honey and Lavender for added skin benefits to replenish moisture levels while restoring elasticity and softness. It also includes nourishing essential fatty acids (Omega 3 and 6) from Cranberry and Rosehip to moisturise and renew skin. 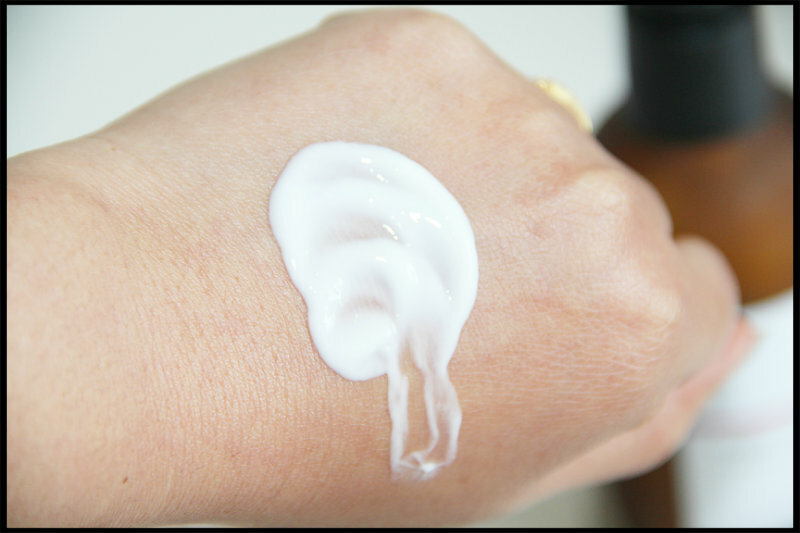 This face cream is perfect for those who have dry and dehydrated skin type. Trilogy Ultra Hydrating Face Cream comes in simple and sturdy tube packaging and it holds 75ml of product, retails for £24.50. The texture of the cream is quite thick and rich. I only need a little bit of product for the face. Any extra product I apply on neck. 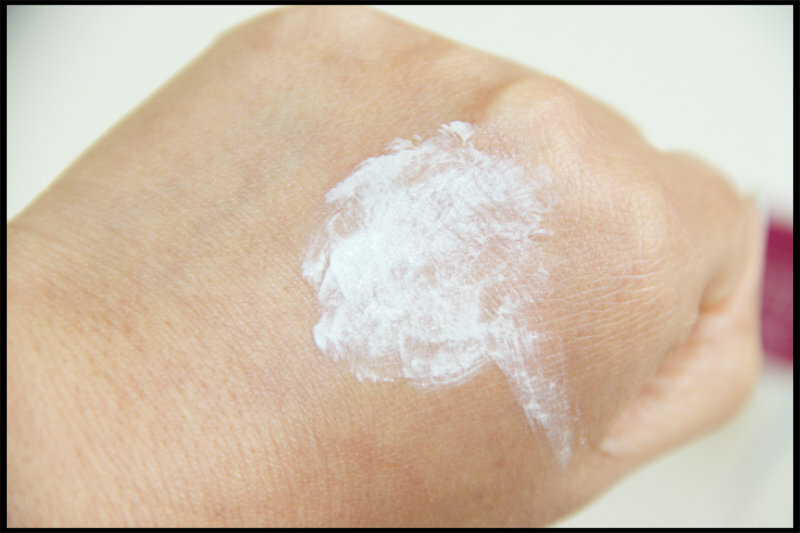 This cream would be more suitable to use during colder days if you have very dry skin. I have been using this cream during day time and sometimes during night. It is gorgeous and smells amazing. I can really smell the lavender and manuka honey in it. If you are sensitive to fragrance you may find smell of it bit too much but it fades away over time. The consistency of this product is thick but it sinks quickly into skin and does not leave any oily or greasy feeling on skin. 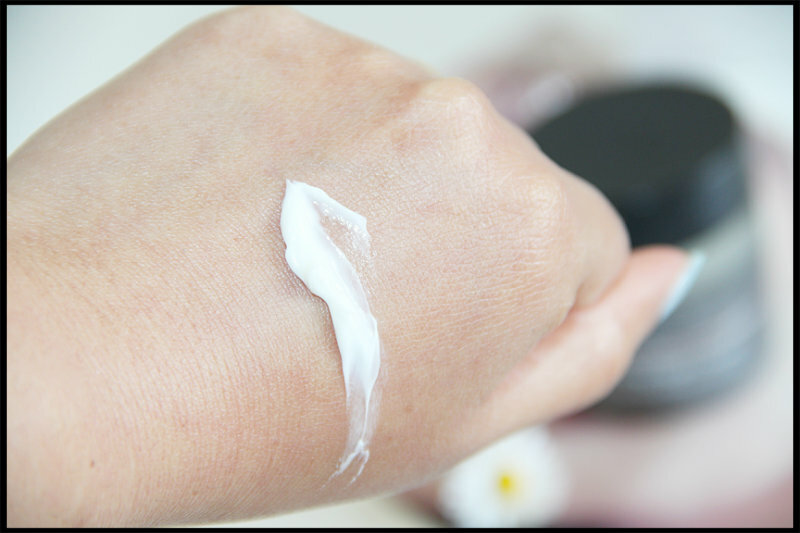 This cream is very rich so if you have combination oily skin, this face cream might be too heavy for you during day, you can use it during night-time before going to bed or definitely in winter when your skin feels bit dry. After applying this cream on my face it instantly makes my skin feel soft and smooth. This intensively nourishing cream re-hydrate and rejuvenate skin. 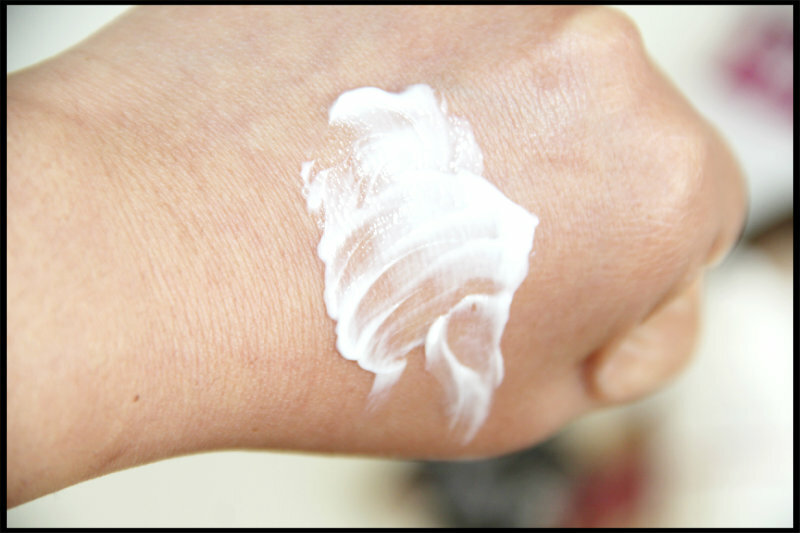 This rich cream is ideal for the daily care if you have dry and weakened skin. I have dry skin and if I don’t use good moisturizer on my face, dry patches would start showing up on my face. Straight after shower do daily cleansing and then moisturizer on face. I am loving this ultra-hydrating face cream so much it puts back life into my dry skin. Again this is a wonderful cream for dry skin and feels comfortable on skin. I like to use this cream alone due to its thick consistency, I tried using it with rosehip oil but I found too heavy on skin and my certain area gets oilier like T-zone and around nose corners. So if you have dry and dehydrated skin and like the lavender smell I highly recommend them to try this cream and perfect for the winter months. 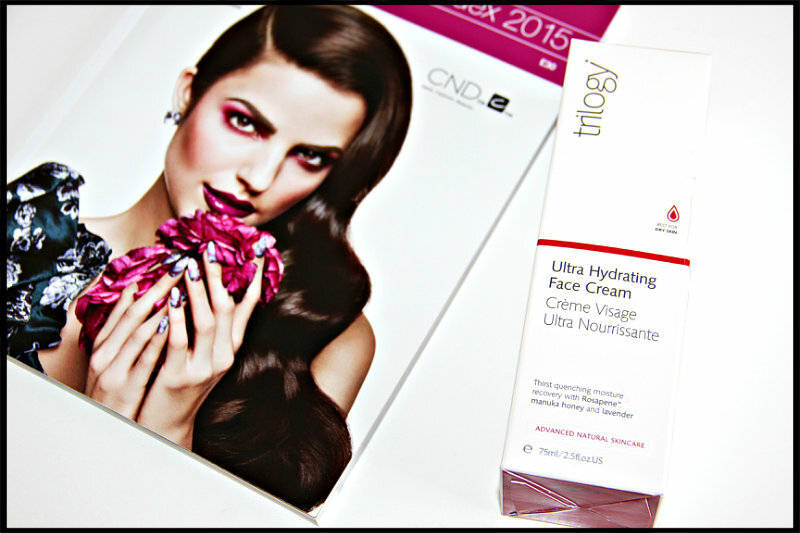 What do you think about Trilogy Ultra Hydrating Face Cream? Have you tried it? 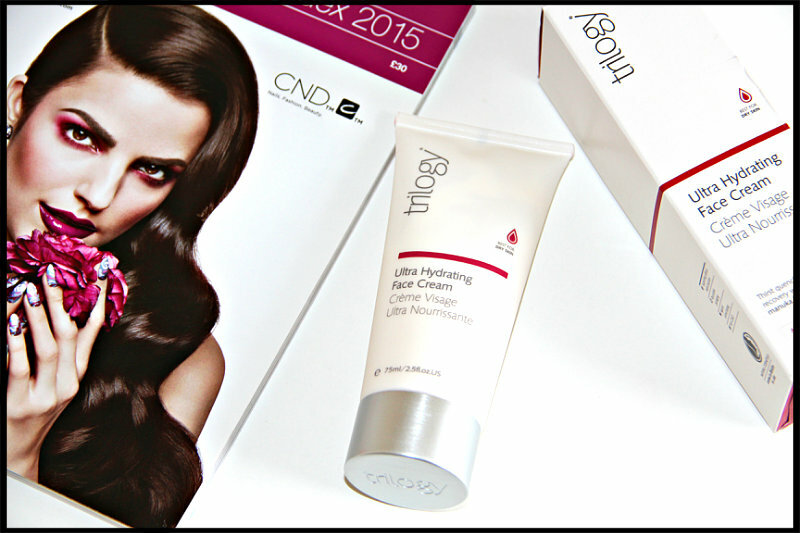 Which is your favourite Trilogy product? You can buy Trilogy Ultra Hydrating Face Cream from Trilogy, Boots, lookfantastic.com, feelunique.com and John Lewis. 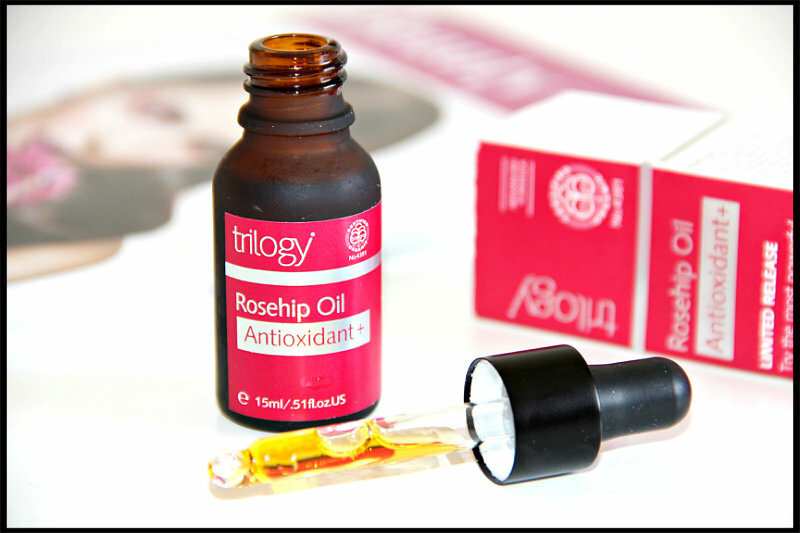 Today I am going to review Trilogy Rosehip Oil Antioxidant+ which I have been sent very kindly to review on my blog. 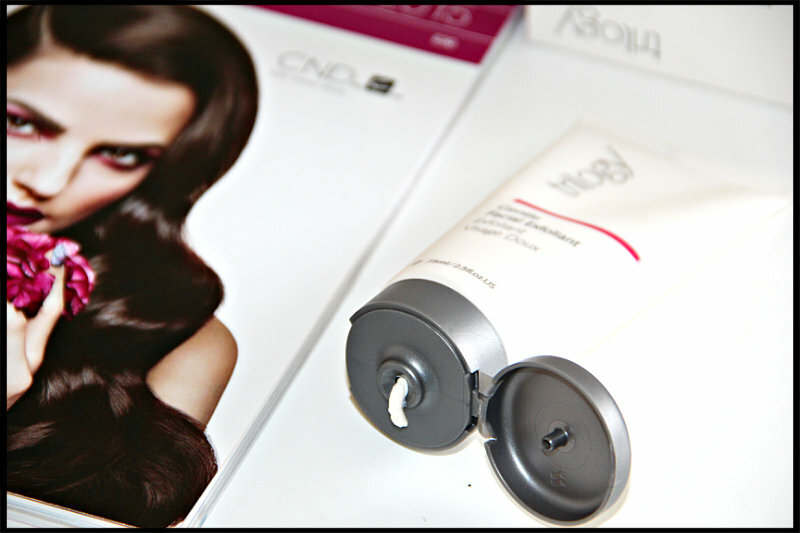 In my previous posts I have reviewed Trilogy Cream Cleanser which you can find here. 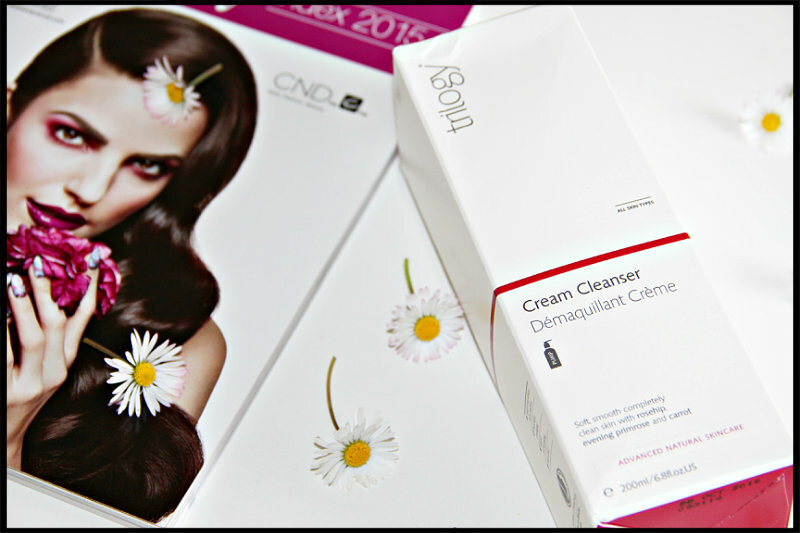 I am in love with that cream cleanser. In past I have used and reviewed few face oils like Bio Oil and Manuka Doctor Normalising Facial Oil and they gave me impressive results. I also repurchased Bio Oil and I am using it all over my body. 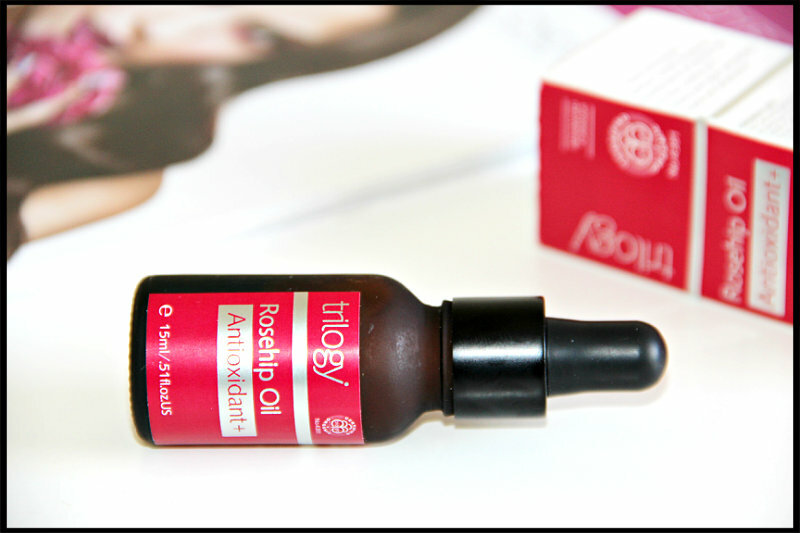 I have heard so many positive things about Trilogy Rosehip Oil and I was so keen to try it. Made with 100% natural Certified organic rosehip oil antioxidant+. It combines nature’s most powerful skin restoring and protecting properties in a unique and advanced formulation with Rosapene. Rosapene is a red berry seed oil blend, provides daily antioxidant protection and intensive nourishment to replenish softness and elasticity for healthier, younger looking skin. It also includes nourishing essential fatty acids (Omegas 3 and 6) from Cranberry and Rosehip to moisturise and renew skin. This product does not contain synthetic fragrances or colours. 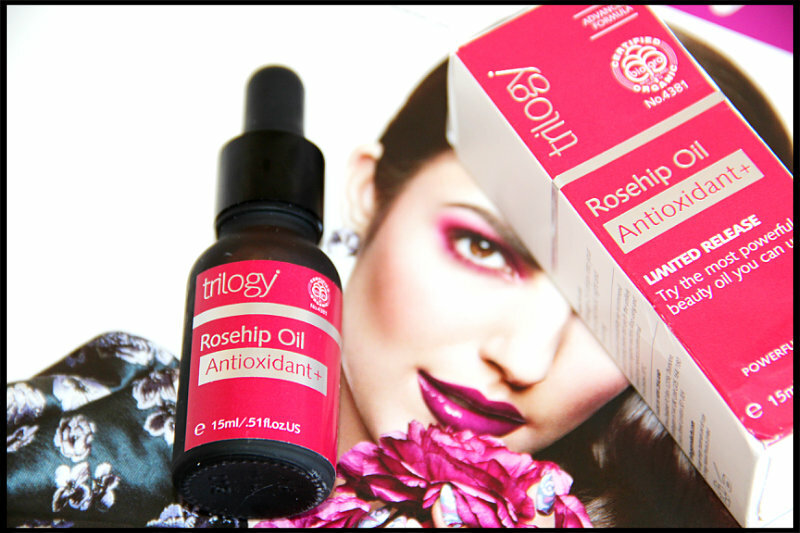 Trilogy Rosehip Oil Antioxidant+ comes in a cute little tinted glass bottle with a dropper to get the product. I have received 15ml of bottle which retails for £13.25 and 30ml bottle retails for £26.50. The colour of product is deep yellow. 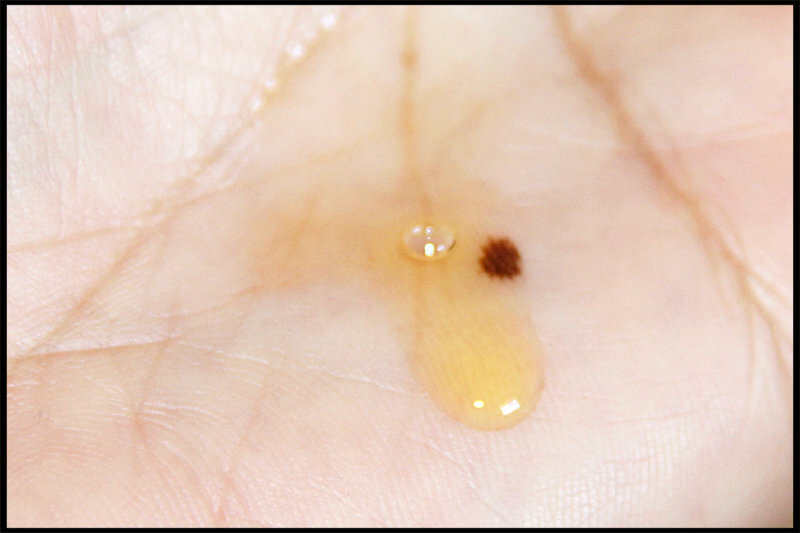 The oil is not that liquidy and you get the right amount of product with the help of dropper without any wastage of the product. Rosehip Oil Antioxidant+ improves brightening skin tone, fine lines and wrinkles, elasticity and firmness. I feel that it helps to even out skin tone and elasticity due to the added moisture. You need only 2-3 drops of this oil to apply on face because you going to apply moisturizer on top of it. If you apply too much oil there is chance your skin might break out if you have oily skin. So for combination oily skin I recommend take only 2 drops of product otherwise it might be too heavy for your oily skin. I have a dry skin so I find it perfect for my skin type and did not cause any break out even if I take few more drops. This oil did help to soothe the skin in terms of hydration and skin tone look more even. I have been using this oil at night-time before going to bed and after my daily cleansing routine. I take 2-3 drops on my palm and then massage it over my face and down onto my neck and décolletage. A little bit of this oil goes a long way. I follow this oil with moisturizer and my skin feels much hydrated. Even sometimes I use it during day time and I find that it makes makeup application easier and sets nice. This oil sinks right in and does not feel sticky or greasy on skin. It instantly nourish the skin and makes it soft. It gives a healthy glow to my skin and when I wake up in the morning I find that oil has completely sank into skin and my skin looks bright and healthy with natural glow. After using it only for few days during night-time, I found that my skin was plump and nourished every morning. My skin has improved a lot after using this product. I find my skin is more moisturised and looks lot healthier. It has also reduced the appearance of fine lines below my eye area. I am definitely going to repurchase it. If you have never used any natural oils I urge you to try this oil. I think during hot days this oil might be too heavy but I don’t feel like summer is started yet here in UK, it is still bit cold and raining so I am going to continue with it. 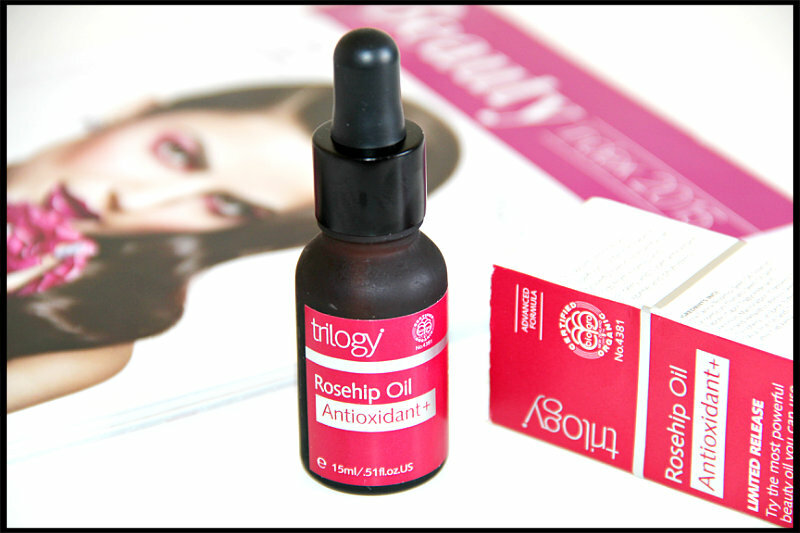 What do you think about Trilogy Rosehip Oil Antioxidant+? Have you tried it already? Is this something you would like to try? Have you used any facial oils? 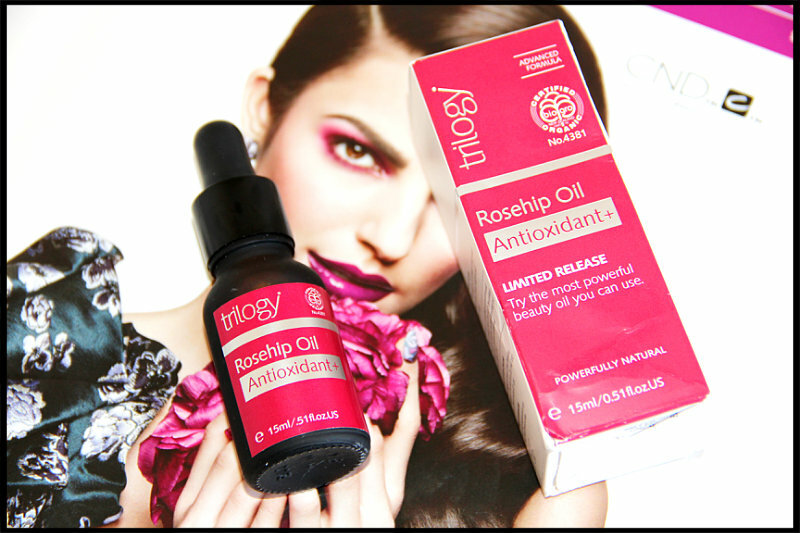 You can buy Trilogy Rosehip Oil Antioxidant+ from Trilogy, Boots, lookfantastic.com, feelunique.com and John Lewis.